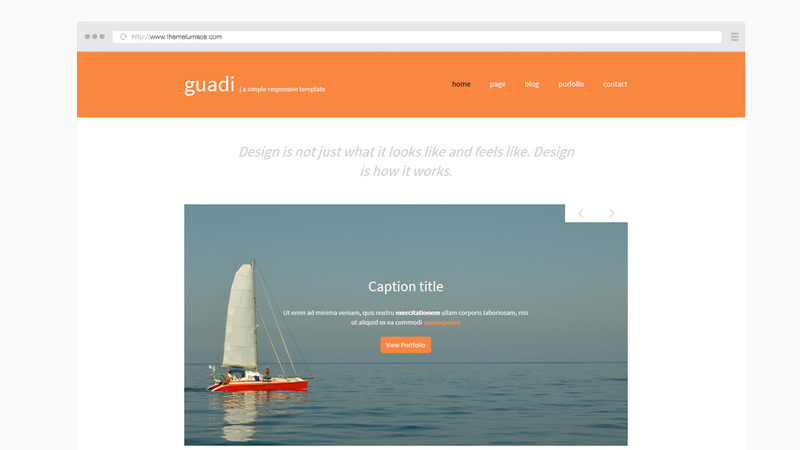 Guadi is a Free Responsive Website Template with a minimal design, bold header with logo and navigation menu, a homepage slidier with captions and call to action buttons. The homepage has space for clients, services and contacts. The footer contains a navigation menu and social media icons. The download includes the homepage and an inside page to get you started.